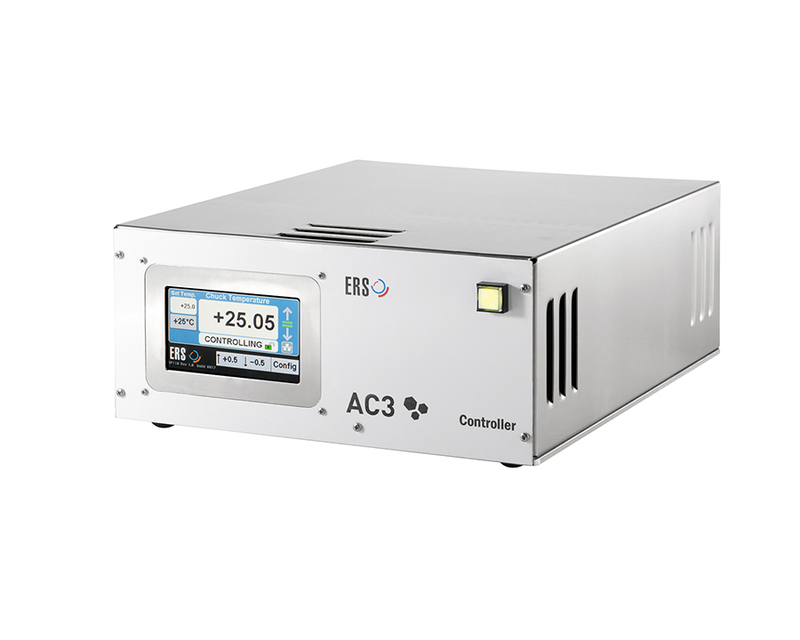 ERS AC3 provides a full temperature range with air reliability and unmatched chiller compactness. In use at renowned production floors and research laboratories world-wide, the patented AC3 system is famous for its wide temperature range, compact chiller, low power requirements and air-only reliability. Highest system uptimes, compact footprint in the clean room and reduced utilities costs translate to the lowest COO in the industry. The core technology of the highly efficient AC3 is the patented ACP air management system. 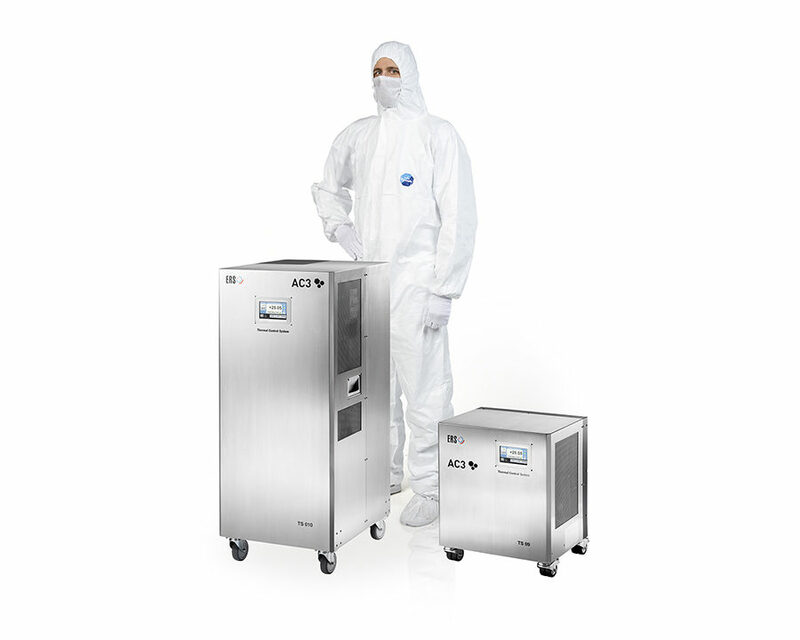 ACP extracts maximum effect from the chilled coolant air in a two-pass cooling operation. 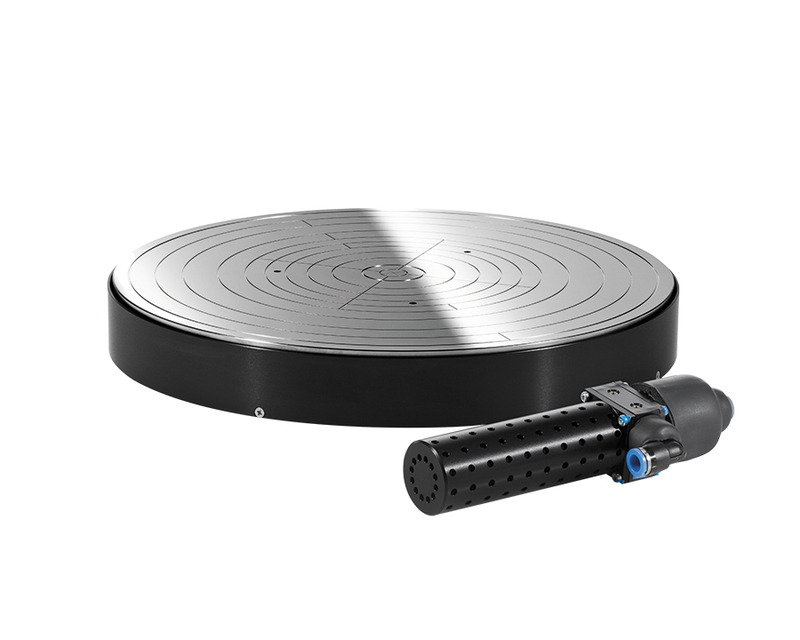 The expended super-dry, clean coolant air is then available as a cost-saving purge gas to prevent icing on the wafer and the surrounding area. Close cooperation over the years with both the laboratory end-user and with the vendors of high-quality analytical wafer probers has produced the best performance in low-noise test. 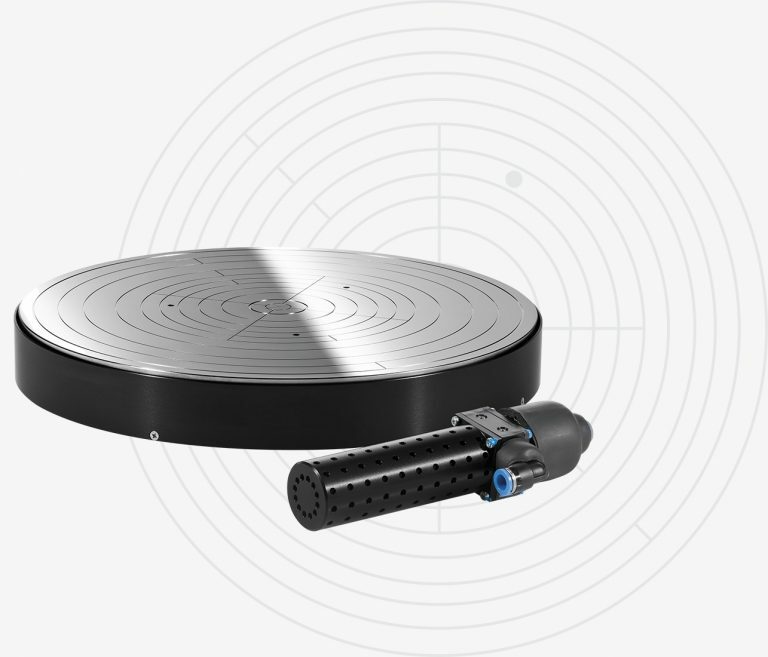 The demands of the wafer sort floor during high pin-count test are also met due to the high rigidity of the AC3 wafer chuck. The chuck holds the wafer to be tested by vacuum. This rigid, low-noise also heats and cools the wafer as testing needs demand. The controller allows the chuck and the chiller to be manually or automatically controlled. It is also the interface to wafer probers or other systems. The chiller cools and delivers air to the chuck. This image shows two chiller options for different temperature ranges.